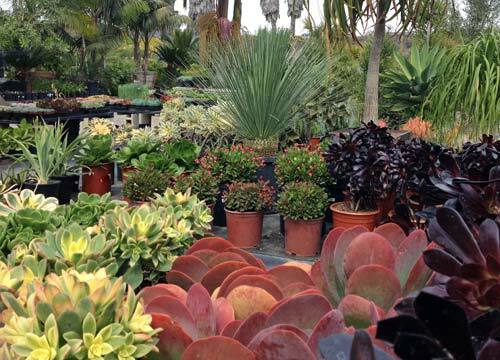 Seaside Growers Nursery has a large and ever expanding selection of California Friendly Plants to meet the water restrictions of our drought stricken state. 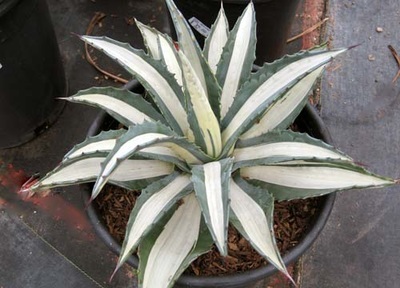 The plants known as xerophytes include species of plants which have adapted to survive in environments with little water. Xerophytes generally are the types of plants required to install for compliance of the rebate programs for bewaterwise.com, ocwatersmart.com, So Cal Water Smart and other programs throughout California. 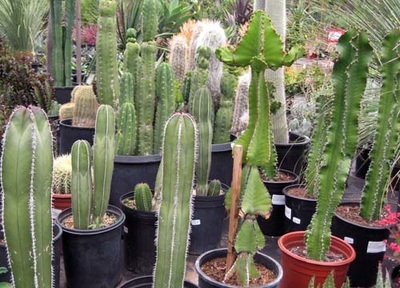 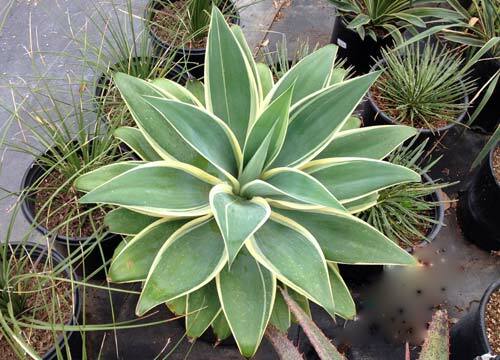 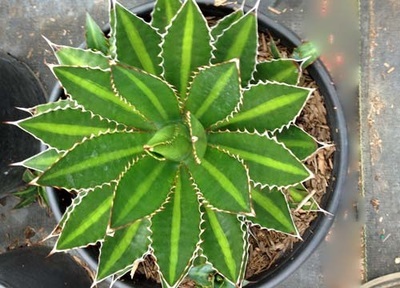 Among the water wise plants are the much loved succulents which can vary in appearance from cute, soft and fleshy to dramatically armored with sharp spines. 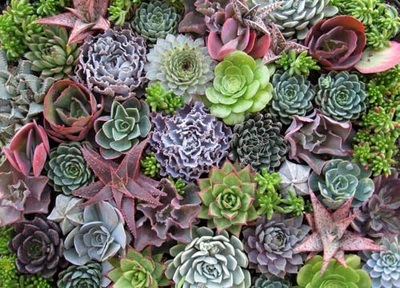 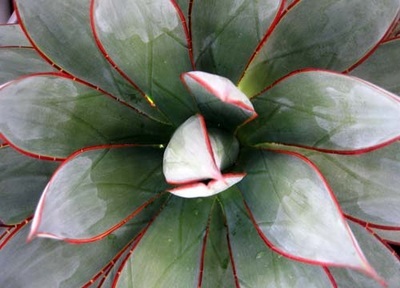 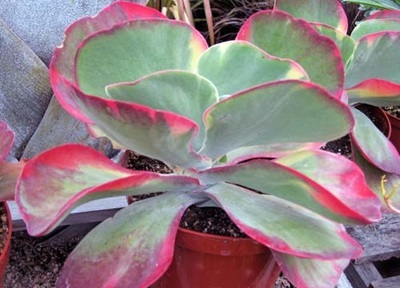 The succulents are drought resistant plants in which the leaves, stems and roots have become unusually fleshy by developing water storing tissue. 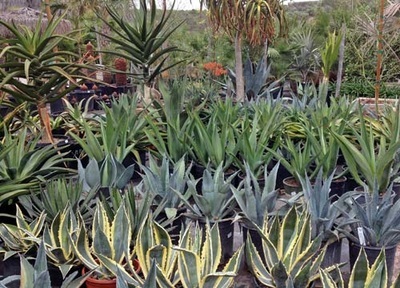 Current trends in replacing thirsty landscapes lean heavily on the succulents, however many general ornamental shrubs, trees, grasses, grass like plants, and even some palms can be used to create a beautiful water conserving landscape. 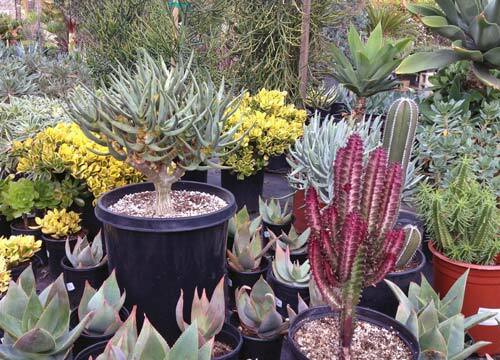 Come on in, we’ll help you pick them. 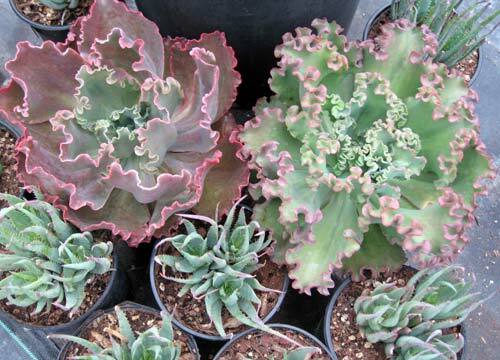 Click on the tabs below to view the names and container sizes of many of the succulents usually in stock at Seaside Growers Nursery. 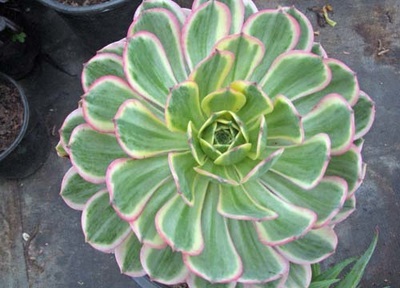 The species are only a partial listing of the available plants.